Does THIS look like someone who would steal someone’s ashes? The surviving and current members of GWAR are being sued by the father of late co-founder/frontman Oderus Urungus– né Dave Brockie– who alleges that the group’s members stole Oderus Urungus’s cremated remains (plus guitars and artwork) after the singer died of an overdos in March 2014. It’s a bizarre twist, or at least it would be bizarre for any other band. After initial questions of if and how the band would carry on after Brockie’s death, “absconding with cremains” was probably pretty low on the list of possible outcomes. In the lawsuit, filed Thursday in state circuit court in Richmond, Virginia — where GWAR was formed in 1984 — Brockie’s father, William Brockie, the administrator of his estate, seeks $1 million in compensatory damages plus punitive damages for alleged breach of contract and unauthorized use of Dave Brockie’s image, as well as the return of Brockie’s cremains. The suit accuses the band of failing to pay Brockie’s estate what it was owed for its last tour with Brockie in February and March 2014; stealing his bass guitars, artwork and other personal effects, including a gold record; and trying to take control of Brockie’s estate from his father. The suit names the band’s surviving members as defendants, along with their management company, Slave Pit Inc., and an affiliated company. When Brockie’s father went to retrieve his son’s ashes last May, he was denied entry, the suit says. Eventually, a staff member turned over “a small fraction of his son’s ashes which were delivered in a used plastic bag with Discover credit card logo on it,” the suit says. 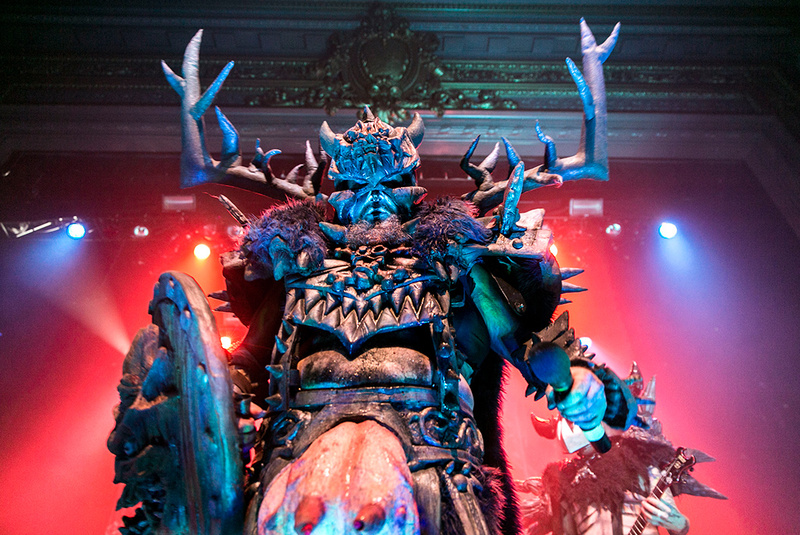 GWAR have posted a lengthy response to the allegations of their Facebook page. Check it out, and then decide for yourself whether or not alleged ash-stealing makes you more or less inclined to go see GWAR and get covered in gallons of (probably) fake bodily fluids. Who knows, if GWAR do have the remains, you may just get a little Dave Brockie on you.